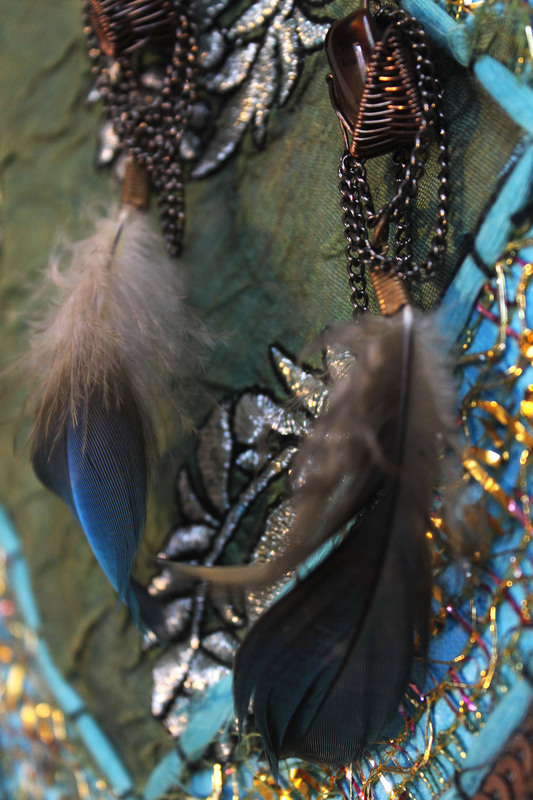 These earrings bring together wire, feathers, chain, and stones. I’m excited to share this pair of feather earrings made using one of my favorite stones: fire agate. Similar in quality to opals, another one of my favorites, fire agate has a glowing quality when light hits it. The fiery glowing parts of the stone vary in color and quality within the same stone. It makes for a cool effect. Close up of the fire agate stone with chain draping. These earrings were a fun project, they were outside of the box of my usual techniques. I left the wrapping work very simple to show off the stone and used the feathers and the chain to create a dynamic look. 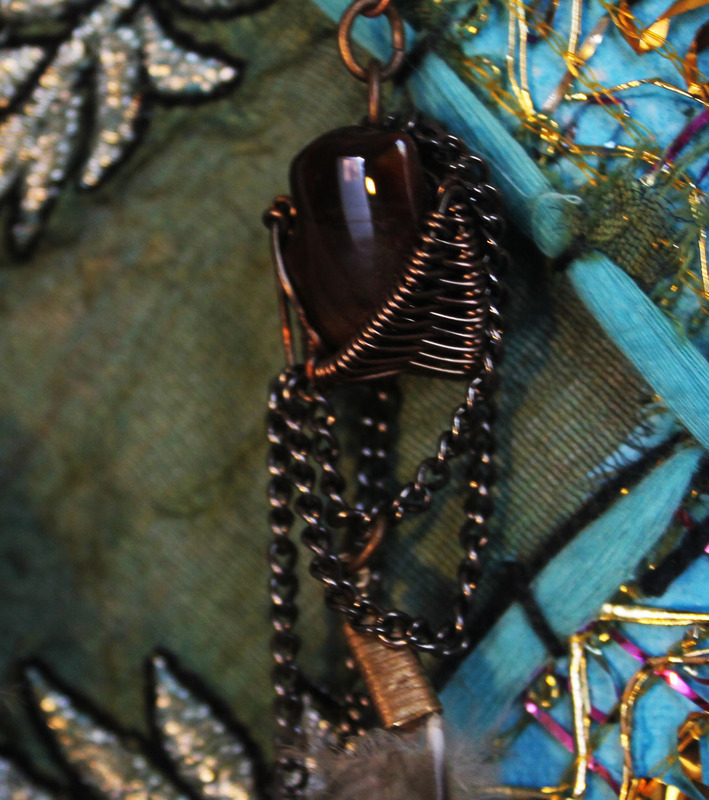 The draping of the chains gives the earrings more movement and makes them interesting to look at. 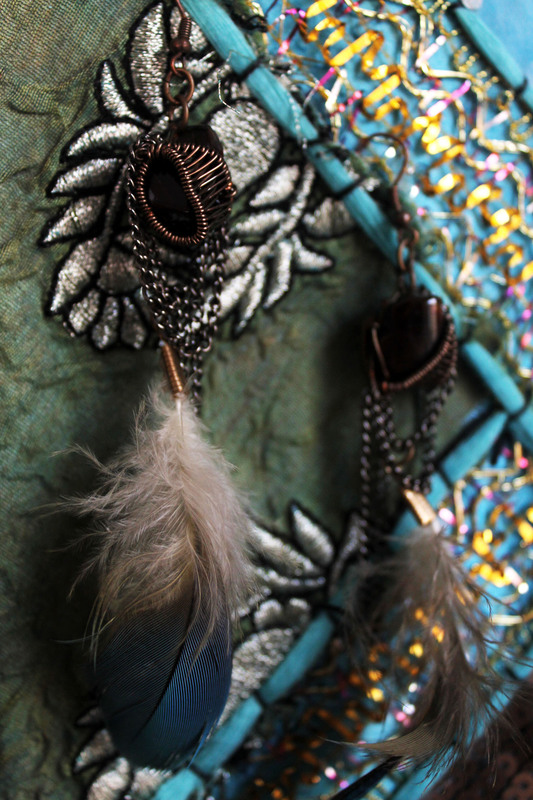 The blue of the feathers makes the earrings pop. The blue feathers contrast with the brown tones of the fire agate. I’m having fun combining wire wrapping and feather earrings, more to come!